Denis is a Reader in Electronics and Computer Science at the University of Southampton and is a member of the new Cyber Security research group. You can also still find useful information in the Web pages of his old research group, variously known as High Performance Computing, Parallel and Distributed Computing or Concurrent Computation. A snapshot of his diary can be found here. Denis’ office is on the fourth floor (room 4041) of the new Mountbatten building, building 53. To gain access, use the telephone opposite room 4028 and dial 22703. If you cannot even get into the building, dial 22703 from any campus phone—although there isn’t a convenient one—or call 023 8059 2703 from your mobile. Please do not attempt to tailgate or blag your way through the door, and do not ask anybody in 4036 to let you pass without speaking to Denis by phone first. He routinely waits for scheduled appointments while working elsewhere in the building; if you do violate our security and come to the lab on your own, you are likely to be disappointed. His office phone number is +44 (0) 23 8059 2703. Faxes should be sent to +44 (0) 23 8059 3045. His Email address is dan@ecs.soton.ac.uk. COMP3215 Real-time Computing and Embedded Systems. Denis occasionally contributes to the ECS Wiki at https://secure.ecs.soton.ac.uk/wiki/ (only visible internally). D.A. Nicole, E.K. Lloyd and J.S. Ward, Transputer link reconfiguration: switching networks for 4-valent graphs, IEE Proc 137 (1990) 239–244. Norman L. Biggs, E. Keith Lloyd and Robin J.Wilson, Graph theory: 1736–1936, Clarendon Press, Oxford, 1976. P. Erdős and Robin J. Wilson, On the chromatic index of almost all graphs, J. Combinatorial Theory B23 (1977), 255–257. Assa Auerbach, S. Kivelson and Denis Nicole, Path decomposition for multidimensional tunneling, Phys. Rev. Lett. 53 (1984) 411–414. J. T. Chayes, L. Chayes and S. A. Kivelson, Valence bond ground states in a frustrated two-dimensional spin-½ Heisenberg antiferromagnet, Comm. Math. Phys. 123 (1989) 53–83. Christian Borgs, Jennifer Chayes, László Lovász, Vera T Sós and Katalin Vesztergombi, Counting graph homomorphisms, in Topics in Discrete Mathematics, 315–371, Algorithms Combin. 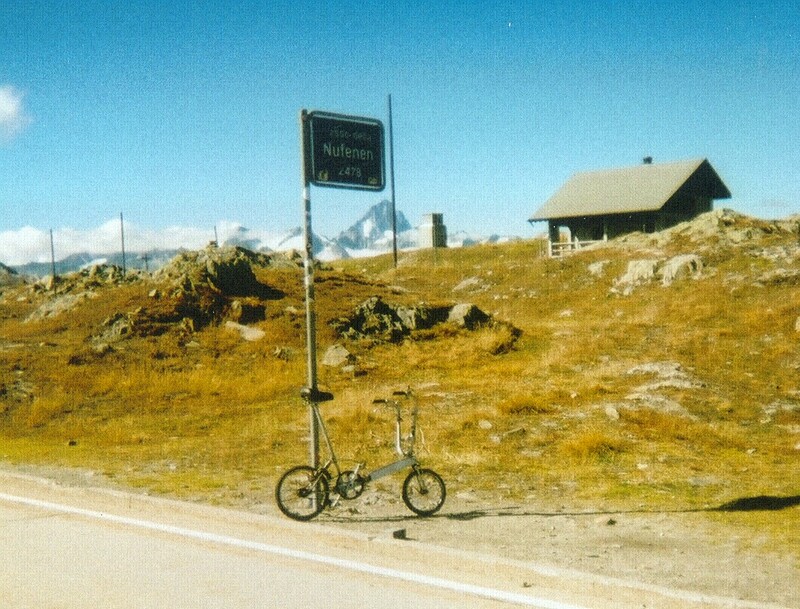 26, Springer, Berlin, 2006. An alternative path is via Assa Auerbach, Lawrence S. Schulman and Leonard J Schulman. Morse, J., Ramalho, M., Cordeiro, L., Nicole, D. and Fischer, B. At Intl. Conf. on Tools and Algorithms for the Construction and Analysis of Systems (TACAS 2015), (won the Gold Medal in the BitVectors and Sequentialized categories of the Fourth Intl. Competition on Software Verification). Jeremy Morse, Lucas Cordeiro, Denis Nicole, Bernd Fischer. Model Checking LTL Properties over C Programs with Bounded Traces. Software and Systems Modeling 14, pp. 65–81, Springer-Verlag, 2015. Applying Symbolic Bounded Model Checking to the 2012 RERS Greybox Challenge. International Journal on Software Tools for Technology Transfer, 16, pp. 519–529 Springer-Verlag, 2014. In Intl. Conf. on Tools and Algorithms for the Construction and Analysis of Systems (TACAS), LNCS 8413, pp. 405–407, Springer-Verlag, 2014 (won the Gold Medal in the SequentializedConcurrent category of the Third Intl. Competition on Software Verification). Morse, J., Cordeiro, L., Nicole, D. and Fischer, B. Handling Unbounded Loops with ESBMC 1.20. In Intl. Conf. on Tools and Algorithms for the Construction and Analysis of Systems (TACAS), LNCS 7795, pp. 619-622, Springer-Verlag, 2013 (won the Bronze Medal in the overall ranking of the Second Intl. Competition on Software Verification). Cordeiro, L., Morse, J., Nicole, D. and Fischer, B.
Context-Bounded Model Checking with ESBMC 1.17 . In Intl. Conf. on Tools and Algorithms for the Construction and Analysis of Systems (TACAS), LNCS 7214, pp. 533-536, Springer-Verlag, 2012 (won the Bronze Medal in the overall ranking of the First Intl. Competition on Software Verification). Context-Bounded Model Checking of LTL Properties for ANSI-C Software. In Intl. Conf. on Software Engineering and Formal Methods (SEFM), LNCS 7041, pp. 302–317, Springer-Verlag, 2011. Fairman, Matthew J., Price, Andrew R., Xue, Gang, Molinari, Marc, Nicole, Denis A., Lenton, Timothy M., Marsh, Robert, Takeda, Kenji and Cox, Simon J. Earth system modelling with Windows Workflow Foundation. Future Generation Computer Systems, 25, (5), 586-597, 2009. Leslie Valiant, Probably Approximately Correct, ISBN 978-0-4650-3271-6.
Review appeared in London Mathematical Society Newsletter 440, pp 36–37, 2014.
at the South East Cyber Crime Workshop, 30th January, 2014. 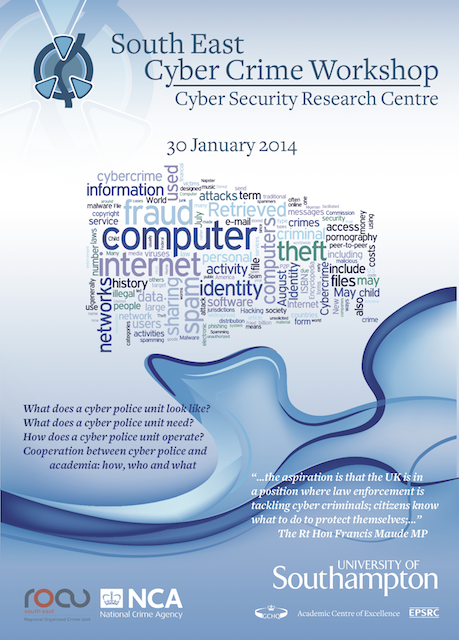 Joint ESS/Cybersecurity seminar, 20th November, 2013. Abstract: I describe recent progress in developing our bounded model checker ESBMC for (potentially concurrent) C and C++ Programs. Topics include: verifying LTL specifications; obtaining (some) information about liveness properties; limit cycles in infinite programs; inductive proofs; what to do when a loop is unpredictable, or too big; performance and realism improvements from adopting the C11/C++11 memory model. Joint ESS/Cybersecurity seminar, 23rd October, 2013. Abstract: There has been a lot of recent interest in the data collection methods adopted by various security services. I will discuss the history of "crypto wars" that led us to the current situation and the hazards of a "hacking" approach to data collection, both technical and constitutional. I will also take a technical look at our current best guesses as to the security of widely deployed internet technologies. GCHQ Cybersecurity Centre of Excellence seminar, 25th June, 2013. I gave the talk a second time at Fucapi, Manaus, to an audience of about 300, on 9th October, 2013. Abstract: The recent defection (an alternative reading is "whistle-blowing") by an NSA contractor has received widespread attention. While the speaker has never had access to secret information, he is old enough to have been reasonably close to a variety of "cold war" activities. The seminar will draw attention to related now-public information and will hopefully entertain and illuminate. It probably won't do much to help you fill the vacancy at Booz Allen Hamilton on Hawaii, but there is plenty of similar work on offer here in the UK. Slides: This is an updated slide set that corrects a few errors in the original slides (and talk). Talk: part 1, part 2.
at Southampton UCU General Meeting, 24th April 2013.
at SoTech Barcamp Southampton, 22nd November 2010. DSSE seminar 15th November, 2010. This talk is not about classical distributed computing; it is about parallel computing. DSSE seminar 4th November, 2009.
at Higher Education Academy workshop on Robots in the Curriculum (Invited Presentation), Southampton, 20th November 2008. The MagStripe no longer contains a PIN offset. The protocol for checking Chip&PIN PINs has changed. Mifare Classic has been comprehensively reverse engineered. Handling Loops in Bounded Model Checking using k-Induction and Interval Analysis. Enabling High-Performance Applications of Machine Learning on MIPS and PowerVR. ESBMC: Model-checking C programs, at the GCHQ Cybersecurity Center of Excellence launch, 22nd November 2012. Denis has a publication list on the University's rather broken institutional repository. Here are the software and notes for all the activities from University Science Day. Here is the robot snake we built for Cantell School’s STEMNet group on 2009-06-11. Here is the iRobot with EEE vision first developed for a visit by Raffles Junior College in Summer 2008 and updated for a visit to Hollybrook Junior School on 2009-07-16. Here is material from the National Scout Air Rifle Championships. 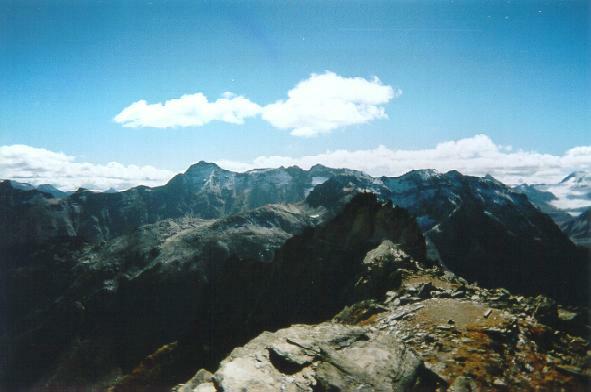 The Heights yield to Endeavour. Before your boss persuades you to go and present Dilbert et al, On the choice of colour for an SQL database, you should probably check the UK and USA official lists to see if you will be coming back...and what pills to take. If you aspire to be a professional paper-pusher, you’d better learn how hard it needs to be pushed. Currently, I am a Skills Instructor with Hampshire County. Over time, I have also been associated with the 2nd Potters Bar (St Mary’s), 5th Cambridge (Perse School,) 29th Southampton (Immaculata) and 25th Southampton (Northam) Sea Scout troops in the United Kingdom and with Troops 646 (Tree of Life) and 25 (Church of the Redeemer) in Allegheney Trails Council, USA as well as the Cambridge University Scout and Guide Club, the Lochearnhead Scout Station and the Bentley Heath (née Gannocks) Guide campsite near Potters Bar, north of London. I finally qualified in September 2008 as a level two kayak coach. In September 2009, I finally got around to walking the Pennine Way. I’m glad I waited; the stone slabs and boardwalks make it much easier than it used to be. September 2010 was the South Downs Way; September 2011 the North Downs Way. Alpkit: I like their head torch and spoon. I used their poles on the Pennine Way but, then and since, the the adjustors have tended to become unbonded from the shafts. Thru-Hiker: down, sil-nylon and hard-to-get material from the US. Street Maps: Streetmap or Bing, by place name, postcode or grid. This page has a good discussion of the various UK mapping sites. OS one-inch Popular Edition: Out-of-OS-copyright maps from the 1940s. The hills have not moved much. Sustrans: Bike routes. Don’t forget you can cycle on bridleways and (restricted) byways too. Street Maps: Tiger or MapQuest by place name, zip code or grid. We now have a share in a Westerly 21, Pandora, moored at Hamble. Actually, this site contains the claim that the UK Hydrographic Office has been generally pretty heavy-handed about UK tidal data. Weather at Southampton Dockhead and at the Brambles. Current UK Synoptic chart and 24, 48, 72, 96 and 120 hour forecasts. Train times, National Express Bus times and Megabus times. Local Buses: uni-link, First, Bluestar, Brijan, Velvet, Stagecoach, Wilts&Dorset, Xelabus. Southampton Airport, including national flight times. Southampton car parks, traffic and cameras..
METAR reports: up-to-date weather at airfields etc. University staff travel insurance and their underwriter. If it all goes pear-shaped, check (if you still can) the Cabinet Office’s emergency web site. Support my local Italian Deli/Café: Il Picchio (the Woodpecker, 07922880354) at the corner of Manor Farm Road and Bond Road. Peter Rhodes bookshop makes coffee too. The Art House has a vegan café near the top of Above Bar Street. This place is also fun: Allsorts Psychic Cafe. In St Mary’s, The New Community Church have opened Central Coffee. And my favorite restaurant near campus: Kairali on Burgess Road. The Crown on High Crown Street is popular too. 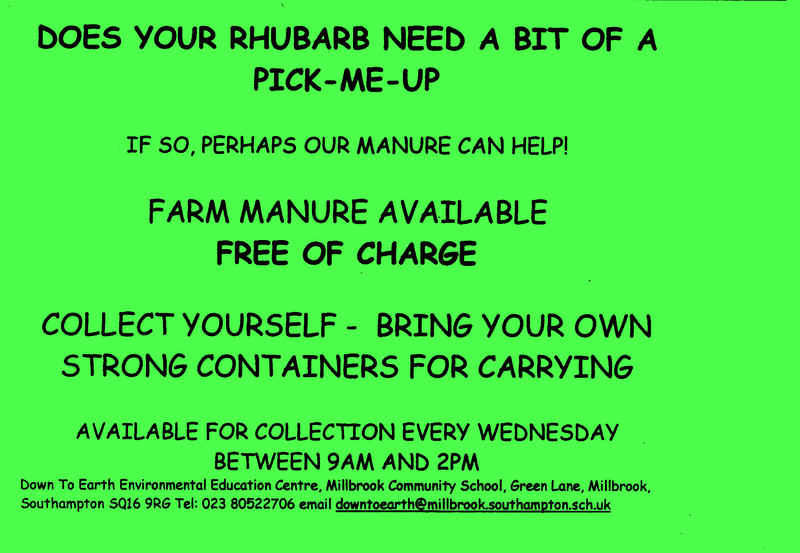 I’m not sure if there still is free manure at Down To Earth Community Farm. West 4x4: A good low-cost local workshop. I use him regularly and am happy with his work. Unfortunately he has (July 2006) stopped doing welding. YRM Metal Solutions: replacement metal sections for bulkheads, doors, etc. Keith Gott: A serious place in Alton. The Sodbury sortouts, also in Newbury. Hunters are the local Main Dealer. I lost a water pump near Oxford in July 2004 and limped into James French 4x4. They did a good and quick job; they also have the smartest-looking Land Rover workshop I have ever seen. If you drive a Land Rover, you probably use a British Seagull engine in your boat. The local place for parts is Aladdins Cave, just this side of Bursledon Bridge: 023 8040 2182. The main parts distributor is Sheridan. For gearbox oil, see C P Lubricants, below. Back in the eighties, there was a big conflict over the building of the Winchester bypass. The protesters built a little memorial which you can see here. There is a whole chapter about the SRB2 redevelopment of the St Mary’s district of Southampton in George Monbiot’s book Captive State, published in paperback in September 2001. ISBN 0330369431. The dangers of blind obedience are well illustrated by the loss of HMS Victoria. You can see the memorial in a Portsmouth park. Some people involved in the Incognito Theatre are looking into our family history; we once ran a Soda Water plant on the site. Further back in the past, the well-known watchmaking firm of Nicole & Capt was headed by my great- great- grandfather’s elder brother. The local free network is SOWN. Right-click Clipboard and select Attach Data Formatted For www.VideoHelp.com/DVDmedia. Go to http://www.videohelp.com/dvdmedia and paste in the media code to get reviews. The details are here. Local prejudice prefers DVD-R over DVD+R and likes of Maxell or Verbatim brands. The lowdown on getting LaTeX, LyX and latex2html running under windows. This note also tells you how to install NetPBM and GSview. A gotcha with the Windows Update system on Windows XP; patch 811494 (M502-013) was superseded without changing the patch number. So, Windows Update will not update the patch and you have to install it manually. The symptom of the problem is poor disk performance. If you are trying to read attachments which Microsoft Outlook has put inside an application/ms-tnef MIME wrapper without using Outlook, you need Fentun. It works fine. WFM2EPS will help you generate (Encapsulated) Postscript from Windows. More than you ever wanted to know about remote login/GUI services. Simple registry edits, eg to configure Explorer. Includes a note on creating Icons. Using Access Grid from the desktop. Cisco have some helpful information to let you set up your serial port as a Generic NULL Modem. You need to do this, say, to talk to the PIC WWW server below. Having built the macro, you can easily assign it to a button. And yes, it does work if your selection overlaps other tag pairs. Look here for a combined ssh client and X Server that will run as an applet. You might find something useful at GNUWin. …is remarkably complex. Firstly, the file needs to be on an NTFS partition. Right click the file and select Propertiesand then Security->Advanced->Permissions. If the Security tab is missing, you need to enable it. From the desktop Start menu go to Start->Control Panel->Appearance and Themes->Folder Options->View->Advanced setting and clear Use simple file sharing [Recommended]. Inside the Security->Advanced window, select the appropriate user (or add a new one) you wish to deny deletion rights and click Edit. Either uncheck the Delete box in the Allow column or check the box in the Deny column. The effects of the two are subtly different; additionally, inheritance may grey out one of the boxes and prevent you changing it. The interaction between inherited rights, allow and deny is so complicated that Microsoft provides a tool to check the effective privilege of a user or other security principal. Go to Security->Advanced->Effective Permissions->Select... and type in the username in the Enter the object name to Select field. The job is now half done. You also have to enter the Security->Advanced->Permissions tab for the directory containing the file and disable the Delete subfolders and files privilege. This otherwise overrides the setting of the Delete privilege on the file itself. A useful site authored by some MVPs. The valgrind environment finds memory leaks in your C code. The bounds checking C compiler by Richard Jones and Paul Kelly links OK to unchecked libraries. There is a later version CRED from Stanford; GCC patches here. And, of course, you can buy a tool for Windows. These notes are mainly to support students and colleagues who are modifying PC kit. Most PCs make it pretty obvious how to get into the BIOS setup, they tell you to press DELETE during boot. The Compaq Deskpro/Prolinia machines are a bit more subtle; you need to press f10 while there is a flashing rectangle in the top right of the screen. You can remove/change CMOS passwords with cmospwd15a.zip. Microsoft Systems Journal has published some code for getting into ring zero on Windows 95/8. Here is part of Matt Pietrek’s article from MSJ May 1993. A raw sector editor and the original sources from which I built (and modified) it. My current version of this tool uses cylinder, head, sector mapping only, so you can’t access sectors beyond 8.4Gbytes. It defaults to access BIOS drive 80 (the first hard drive) but you can give a BIOS drive ID on the command line. Thus 81 will access the second hard drive and 0 will access the first floppy. My simple guide for hacking partition maps. Tools for finding partitions by scanning under Linux. This page also contains FAT32 information. Full list of partition types and partition table layouts. Partitions supported by various MSDOS versions. Lots more hard disk/BIOS information. You can dump LILO (Linux boot) passwords with lilopwd.exe. Eddy L O Jansson and Matthew Skala wrote a really good essay on reverse engineering, based upon their work on Cyber Patrol. You should read it. It led to a big court case, which seems to have finally been resolved in favour of publication of the essay. LightBlueTouchpaper is the Cambridge view on, particularly banking, security. Bruce Schneier’s Crypto-Gram newsletter is justifiably wolds famous. For at least some purposes, the MD5 hash is now thoroughly broken; use SHA1 instead. OpenSSL the encryption libraries for secure HTTP. OpenSSH, a free version of the secure telnet replacement. PGP the standard encryption package. R Rivest’s cryptography home page. dsniff is a set of tools and papers describing mainly man-in-the-middle attacks on ssh and https. A nice tutorial on Elliptic curve groups and discrete logarithms. Also a simple proof that the group is a group, in particular that it is associative. Some simple things (congruent numbers) to do with an elliptic curve. Some more elementary results, given as answers to an exam. A good general site: http://penguin.cz/~mhi/fs. Linux ext2 filesystem: lread.zip. This filesystem has a magic number at offset 0x438=0x53 and at 0x439=0xef. The block count is at 0x43c (dword) and the logical block size is 1024<<(*0x45c). Sysinternals: Mark Russinovich and Bryce Cogswell. Generally regarded as the best non-Microsoft site. In case you don’t have a legal copy of DOS to hand, you can use FREEDOS instead. There are local copies of BETA 8: here is the boot image, the DOS program to write the boot image to a floppy, a Windows program for writing the floppy. and the base set of commands. There is also a copy of the unzip utility. Microsoft’s eMbedded Visual Tools 3.0 - 2002 Edition. There is also a 4.0 version for more recent PDAs. Personal Java [removed by Sun] and running the Java SDK. Note that this implementation is compatible with JDK 1.1.3 and includes java.awt, java.io, java.math, java.rmi, java.sql and java.util.zip only; it does not include java.security. There is also SuperWaba and Ewe. Go into 8-bit screen mode by selecting it in HP settings ->Preferences and pressing the red button on the back (soft reset). Open the run|clock menu by holding in action (the wheel on the left side) and tapping and holding on the time (top right of screen). Select run and type rotate r into the dialog. Align screen by pressing and holding off button. Earlier versions of the main phone software had problems with the GPS. I run R3EA037 from the Update Service, which does not seem to have any problems with the GPS hanging. Calculator (I run the Nokia version). TrekBuddy: decent GPS map tracking. I get my ringtones from http://www.freesound.org/. There are free UK contour maps in Garmin IMG format here. Download GroundTruth 1.5.128.2 from http://downloads.igorbrejc.net/osm/groundtruth/ and unpack it into a suitable directory, say in c:\Program Files. It won’t work from a Temporary Internet Files directory. Download the free version of cGPSmapper into the same directory. I got version 0098c. groundtruth getdata --bu "http://www.openstreetmap.org/?lat=50.94&lon=-1.276&zoom=11&layers=B000FTF" -osmxapiurl="http://xapi.openstreetmap.org/api/0.5/*"
The less-than-obvious bit is that you have to specify a non-default -osmxapiurl as the default one is often down. This stage creates a file output.osm which you should save. You should now have a good collection of files! In OpenStreetMap format, there will be the full OSM database output.osm (if it has not been overwritten) and a set of contour files of the form Output/Contour?.osm. You can load them into Kosmos to make a bitmap file by running Kosmos.Gui.exe and creating an empty Kosmos project. Now, in the Project Explorer window, do OSM Files -> Add File(s)... and then output.osm -> Show On Map. From fere you can generate bitmap files. If you want them, the Garmin format files are in Maps/*.img and Maps/Temp/*.img. To connect an external mic or headphones, you need the EDS-10 adaptor. 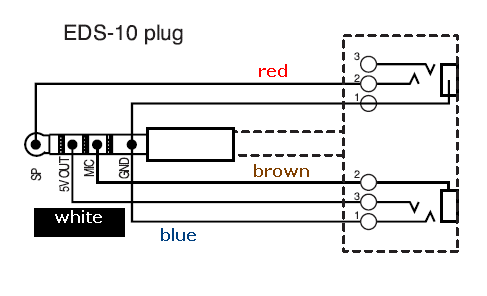 This brings out a current-limited 5V supply (for TNCs) to the ring on the mic connector. If you plug in an ordinary mono 2.5mm jack, the battery runs down. To fix this, you need to carefully open up the cable in the EDS10 adaptor and cut the white wire, then seal the wire ends and the overall cable with heat-shrink. You need heat shrink big enough to go over the plug! The Department has started buying computers from Transtec. There is also DABS. Some of our students recommend Novatech in Cosham. Maplin at 46 Bevois Valley Road are a well-known mail order company. Technobots in Totton sell robot bits. Doug Holmes used to run a wonderful junk shop, full of University cast-offs, out of an old shed between buildings 23 and 25 on campus. It finally closed on 2nd November 2001 to make way for the new Escience building. Enjoy your retirement, Doug. Diverse Devices had some components and a lot of old test equipment at 75 Priory Road, St Denys. The shop is now closed. Greenweld in Freemantle closed in May 1999 and now operate out of Brentwood. One of the people involved has gone on to open WCN Supplies in Totton which has now become Technobots. SMC in Chandlers Ford, at SM House, School Close, Chandlers Ford Industrial Estate used to sell both amateur and professional equipment but now seem to be professional only. The computer shop that was on campus was Computronik. The Inside Information shop in Portswood has also closed. Microsim offered what I think was the best "free" evaluation version of the Spice circuit simulator; it became Orcad which is now part of Cadence. There is a free demonstration version. It does PCB layout as well. The favourite schematic and PCB software in the amateur community is ExpressPCB. A current free favourite is SIMetrix. Another free choice is a version of Spice released to support the design of Linear Technology power supplies. Ansoft offer a couple of free downloads which used to include Harmonica. Puff from Caltech is used as the basis of a microstrip design course. Sonnet Lite is a free electromagnetic (method of moments) simulator. EZNEC is a Windows version of the NEC2 aerial simulation package, with a free version. WB6TPU maintained an unofficial NEC archive, or there is www.nec2.org. G4PMK offers his own simulator and several other pieces of software. Hewlett Packard have unbundled into a computer company and Agilent. Agilent in turn split of its semiconductors to Avago Technologies. Agilant have an excellent range of application notes in their Test and Measurement section. Their AppCad tool may be downloaded here. Harris Semiconductor (which included RCA Semiconductors) has been sold to Intersil. Mini-Circuits manufacture wide band amplifiers, mixers, VCOs etc. They also take small orders. Siemens Semiconductors are now Infineon. Some of the Motorola logic is now made by ON Semiconductor. Hittite: some of their parts are sold by GH Engineering. Farnell offer extensive component data on their web pages. They also give away a data CD. There is also an academic site. They also now own CPC who supply consumer (including white goods) parts and are now trying for the educational market too. CPC do a variety of cheap rf connector adaptors. RS also have an on-line catalogue. Rapid Electronics are cheaper than most. Cirkit Distribution Limited used to be Ambit, a popular Amateur Radio parts supplier but have now been taken over by Roxburgh. Mainline Electronics supply RF parts in small quantities. They also now own Jackson—remember the type OO tuning condensers? Halted specialties co. I went to their shop in June 1999. Cricklewood Electronics 0181 452 0161 and 450 0995 are good for old/obscure/consumer semiconductors; I have received a very fast turnaround from them. Remember Henrys Radio on the Edgeware Road? Lots of cheap CCD cameras. Wilmslow Audio are also still here, mainly doing loudspeaker kits. Morgan Computers sell remaindered PCs. Dutch RF component specialist. (BAREND HENDRIKSEN HF ELEKTRONICA BV) They seem to have almost all the parts I need. Engenius long range data communications. Steve C Cripps (g3tpf): the author for microwave power amplifier design: RF Power Amplifiers for Wireless Communications and Advanced Techniques in RF Power Amplifier Design and Microwave Bytes in IEEE Microwave. See also Secondhand Test Equipment and other stuff below. Don Lancaster Remember the Cheap Video Cookbook? Used Equipment Surplus & Storage Ltd are in Norfolk and cultivate radio clubs. Cooke International Services held a final closing down sale in December 2008.I’ve bought a manual from them—it was a usable photocopy. Anchor—I’ve bought a shovel and some PU12 guylines from their Ripley Depot and an attenuator from Nottingham. These are fun places to look around. Johns Radio no longer answer the telephone. I’ve bought a Spectrum Analyser from them. Toronto Surplus sometimes have interesting RF bits. Auction sniper; I’m not at all sure that this is "fair play". Modern military surplus, mainly antennas. Tetra Communications: recycled communications equipment. Huge collection of "rubber ducks". Tenma produce a range of remarkably cheap autoranging DMMs with isolated RS232 interface. I have bought the 72-6870 (£25) with capacitance, frequency and temperature measurement, including a type K temperature probe and also the Digitek INO2513 or DT-9060. When I last looked, Farnell had the 72-7735 with RS232 at £24. Some also come with K-type temperature probes. You have to look on the Tenma site to check if the various units have RS232; USB tends to cost quite a bit more. The wire protocol is explained here, as is the rather fragile interpretation of RS232; the wire from the DB9 only connects to pins 2 (RXD) and 4 (DTR)! There is a Linux GUI. On some of these, you can disable the auto-shut-down timer by holding down the "SEL" button when turning on. The Lascar PSU130 is a good value PSU, but mine makes a horrid whining noise. Why did they choose to use a class 1 triangular mains connector instead of the usual IEC? Farnell sell some low-cost digital balances at £26. There is a 500g/0.1g resolution and there was a 50g/0.01g resolution version. DC clamp ammeters are now cheap; you can get 1mA resolution for £51. The PEAK atlas DCA55 semiconductor tester is good value too. The Radio Society of Great Britain is the National Society; the United Kingdom Radio Society briefly set up in competition, but is now defunct. The RSGB pages contain several useful FAQs. Tucson Amateur Packet Radio Includes spread-spectrum information. and lots more. 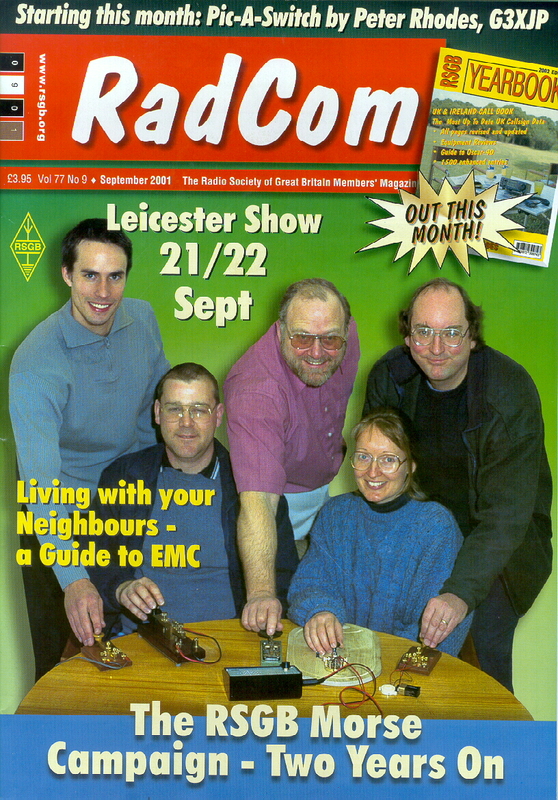 I passed my 12wpm Morse test in February 2001 and made it onto the cover of RadCom. Sunspot prediction: recent (2006) progress at NCAR. An audio DSP design and the software. Using the ADSP-2100 Family, volume 2. Rutgers have a manual of easy experiments using the EZ-KIT Lite. A direct digital synthesis design using the AD9850 and a PIC. G4PMK Software and DUBUS magazine. SM5BSZ Equipment for VHF DX. A staggeringly good (and reasonably cheap) Vector Network Analyser design. The basic unit is 50kHz…60MHz with a 110dB dynamic range. There is also a nifty SWR/Power meter. A good 1999 list of electronics pages. Discover Circuits has lots of good beginner/intermediate stuff. Almost everybody I know now goes to PCB-POOL or PCBTrain to have boards made. Why try to make your own? The local Spirit Circuits in Waterlooville have an outstanding Go Naked deal. I have not tried Circuit Technology myself, but they look like good value. PC00245: Mini pad-per-hole board. Under £11. If you are using 16C84 or 16F84 parts, you should probably switch to the 16F628 (16F628A or 16F648 look good) family or the 16F88. MIT has a course which uses the 16F628; the page has low-voltage programming hardware and software, including source, along with a simple C program example. John B. Peatman at Georgia Tech has written a book about the PIC18F452 which has some useful web pages. Lots of stuff for PIC microcontrollers including programmer designs, programming software and applications can be found on what were David Tait’s pages. He also has his own home page. A simple serial-port 16C84 programmer and a better approach. The PIC-Flash II is a proper parallel port based programmer with a variable voltage supply to validate the non-16F84 serial programmable chips. The software is here. It is claimed that 16C84 code security can be defeated. See also the software from Dejan Kaljevic. A Japanese design for a PIC-based frequency meter. And a design by OM3CPH. Or you can build a WWW server on a 16C84—with sources. A lathe/mill Digital Read Out for cheap Chinese scales. You can get the scales from Arc Euro Trade. PICAXE is mainly aimed at schools. Several interesting designs including a compass/tilt module are at http://www.techdesign.be/projects.htm. You can buy the source too. The classic Pong, Tetris and Breakout games can be implemented in a stand-alone 16F84 to drive a standard (PAL) monochrome screen via a SCART connector. You can also generate VGA video. Microchip are now shipping flash-based USB PICs; this really opens up possibilities for cheap PC peripherals.. A simple way to manage a USB device from Windows is to implement it as a HID (Human Interface Device: like a mouse). This requires no additional OS driver support. The 16C745 and 755 are OTP or UV-erasable only, and support USB 1.1 1.5Mbit/s polled (USB calls them interrupt) transfers only; I doubt you would want to use them nowadays. As I understand it, this restricts output data from the PIC to one 8-byte payload every 10ms, that is to 6.4kbit/s. Microchip have produced a complete USB mouse (HID) example code. The 18F2455, 18F2550, 18F4455 and 18F4550 flash devices implement full speed USB 2.0 and are the natural choice for simple USB designs. Example PC host user program to support bidirectional byte streams for a HID, from USB-by-example. If you are working on USB you really need to read USB in a Nutshell. The most accessible route for USB through other processors seems to be to use the National USBN9604 (available from Farnell). Here is an example design and software. Ubicom make a range of SX chips which are more-or-less compatible with the Microchip 16C54 series but four or more times faster. All the support is from Parallax. You should be able to program them using Fluffy 2. There is a cheap FPU which will attach to the I2C port of a PIC: uM-FPU. And so also did Erasmo Brenes: ebs_cc. And there’s our occam compiler. MicroDev has a schematic editor which lets you join up simulated peripherals. Gnupic has its own simulator. miSim is written in Java; the latest version is not free. f84 is a simple simulator that supports the Tetris/Pong game hardware. Source codes for Everyday Practical Electronics projects. The PIC Source Book. A collection of ready-to-use assembly language routines based on the instruction set of the BASIC Stamp ® single-board computer. An example evaluation board and software. A C compiler with source debugger, simulator and assembler. A free evaluation evaluation version of an IDE.. The Purple Open Project offers cheap power/data connectors for the Garmin. In the UK you get them from Norma Pinkerton.The wiring details are here; remember that the GPS12 does NOT run on 12V. There are several articles on fitting external aerials via coupling loops, including an overview, an amplifier design and a description and drawing of a patch aerial. I havn’t tried any of these yet. VHF Communications has carried sophisticated designs for a Quadrifilar Backfire Helix Antenna (issue 4/94) and a very low-noise Aerial Amplifier for the L-band (2/92). You can still get the back issues from them. The aerial is made out of semi-rigid coax; the amplifier uses Mitsubishi MGF1302 GaAs FETs. They also sell a kit (YT3MV) for the amplifier. You can buy most of the bits at Mainline. My old friend Nigel Hoult has written programs to display track and waypoint data on a map. Data on cheap RS232/USB GPS modules : buy it for about £30 on Ebay. The Radio Data Service gives station information on (analogue) VHF broadcasts. A good general web site: http://home.scarlet.be/~wijnherm/. A decoder design, translated from the original French. All the parts for a kit can be found at http://www.techdesign.be/projects.htm. They even have 4.332MHz crystals. There’s an MP3 player too, and other goodies. An RDS decoder from the Circuit Cellar Contest. Motorola application note for an RDS radio and its programming. You used to be able to buy a stand-alone RDS module from Conrad, but I think it has since been discontinued. There are now much more modern designs here. Chronos: lathes and tooling etc. They also trade as "pinvice" on Ebay. College Engineering Supply: unfinished low-cost castings and other materials. Model Engineering Services offer castings for steadies, rotary tables, etc. Home and Workshop Machinery: Stock of used lathes etc. 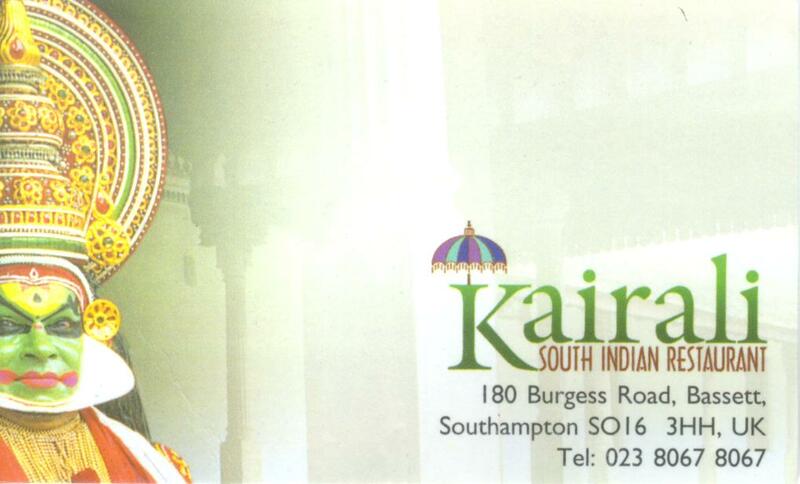 020 8300 9070 (Sidcup, Kent). Proops: good for low-cost tools and tooling. They stock #0MT centres. You might remember they used to be in Tottenham Court Road; they have now moved to Leicester. Rotagrip: tooling, tables, etc. 0845 100 1566 (Birmingham) or Email. I bought a #0MT chuck from them, but it does not appear in their catalogue. Tracy Tools: taps and dies. Also #0MT centres, sleeves and reamers. Uni-Thread: helical thread repair inserts. and Eternal offer diamond wheels. ModelPower: Battery packs and chargers including Lithium polymer. RiteTime Publishing: John Wilding’s books about clock making. Bruce Engineering: supplies, particularly for live steam. NB: Please don’t Email me about models; I don’t make models. Spares2go were based in St Mary’s, Southampton but have now moved to Fordingbridge. I have bought Bosch Washing Machine bearings and seal from them; the price for their parts (including standard Italian bearings I could probably have got them from Blue Diamond, but I needed the seal too) was far lower than original Bosch parts. They arrived quickly, fitted, and the machine is quiet again. B&R Services near Emsworth give a good, fast, low-cost parts service for white goods from Zanussi, Electrolux, Tricity Bendix and AEG. They got me an AEG dishwasher element in one day; it was were cheaper than either the local parts shop in Shirley or on the WWW and (unlike the local shop) they did not demand an up-front deposit. Phone 01243 379959. Cromwell Tools have a Southampton store. I think the best value local tool hire company is Handi-Hire (023 8087 0071) of 1, Hymans Way, Water Lane, Totton. For bits of metal, I go to Metal Supermarkets in Bevois Valley. I get my nuts and bolts from Lawson in Freemantle. And my bearings from Blue Diamond in Chandlers Ford. I really like these guys. They also do linked V-belt, loose ball bearings, gasket material, O-rings etc. Take in your old dead bearing and they’ll decode the part number and sell you a new one. For oils and cutting fluids, I go to C P Lubricants. A2A4 fixings in Shirley attend the local boat jumbles: good for stainless fittings. A good place for welding bits is migtigarc in Portsmouth. They offer a "Pub" CO2 MIG setup quite cheaply; have any of you tried it? Pennyfarthing Tools, in Salisbury, have a good range of used tools. You can find bigger machinery at G&M Tools, another fun place to wander around. And there’s Meccano at M W Models in Henley. The shop closed on 29th March 2003, but they still run a mail order service; spare parts now come from meccanoshop. And yes, we did take our daughter there on the last day. I keep it all safe with New Forest Fencing. They are one of the few local fence companies where you can just turn up to the sawmill and buy a panel of good quality fence. October Books in Portswood: Where social science students go. Good for most things Rupert Murdoch wouldn’t like. P & G Wells Ltd near Winchester College and Cathedral. A lovely place to visit: where Winchester schoolboys buy their dads’ biographies. Don’t miss the deli round the corner, the Cathedral cafe, the water meadows or the wayfarers dole at St Cross. 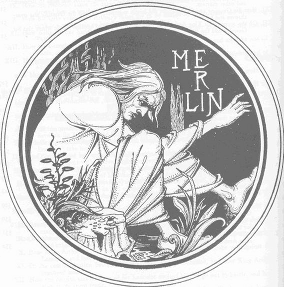 Peter Rhodes diagonally opposite the Hobbit. Proper coffee and, sometimes, the old stock from the DERA libraries. Ajay Trading sell low-cost navigation lights, generators etc; they are here. They also trade as ajaysales on Ebay. Now the Boat Shop is closed, I get bits from Shamrock Chandlery or from Aladdin’s Cave which is just this side of Bursledon Bridge: 023 8040 2182. There is also LDC in Chandlers Ford. You can also try the Marine Super Store at Port Solent. The local place for Seagull Engine parts is Aladdin’s Cave, just this side of Bursledon Bridge: 023 8040 2182. The main parts distributor is Sheridan. For gearbox oil, see C P Lubricants, above. Parts for old outboards such as Mercury are horrible expensive in the UK. When I can, I order from GO2MARINE in the USA. Unfortunately the cheapest delivery method they will use is USPS overnight, but it’s usually still cheaper—and faster—than buying in the UK. Shore Watersports used to run a windsurf jumble starting at 09:00 on the last Sunday of the month at Northney Marina on Hayling Island. I have not beeb recently, but think it still happens. Chris Heapy’s Model Engineer Support Pages are no longer indexed, but there is a new set of private ads pages at http://www.homeworkshop.org.uk/. LATHES—and other small machine tools for the enthusiast and professional. Lots of detailed information about various sorts of lathe. Asian Mini Lathes: From what I can understand, they are all made by Sieg in Shanghai. In the UK, the best price is usually from ARC. They can also be bought from Paisley (01444 242266), Chester, Warco or Machine Mart. There is an extensive web site showing what you can do with them and a user manual. In the end, I decided to buy an old Boxford instead. The poorest man may in his cottage bid defiance to all the forces of the Crown. all his force dares not cross the threshold of the ruined tenement. In our judgment Eady J, notwithstanding his very great experience, has erred both in conflating these two elements of the claim and, more particularly, in treating the first of them as an issue of verifiable fact. That is a pass to which we ought not to come again. in the Court of Appeal, between the British Chiropractic Association and Dr Singh. Melanie Safka, "The Good Guys"
Starship, "We Built This City"
When rats leave a sinking ship, where exactly do they think they’re going? Did you see the CBBC/BBC4 production Summerhill in January 2008, dramatizing the school’s struggle against closure? Margaret the Slitheen—regressed to an egg by the Tardis—finally achieves redemption when Ofsted Inspector Myrtle, played by Annette Badland, defects from Mr Grenyer’s team to stay at Summerhill. The Tribunal had convened to determine the Appellant’s appeal in respect of three specific complaints in the Notice of Complaint. 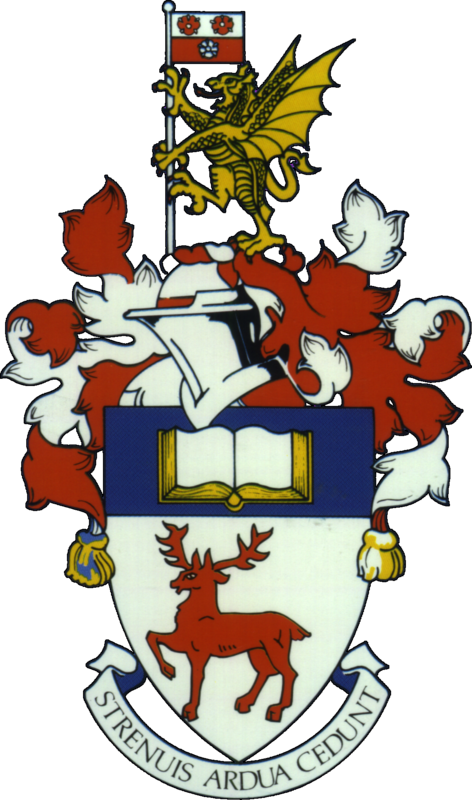 Following the commencement of a hearing on 20th March 2000 of the Independent Schools Tribunal the parties have agreed that the Complaints 4 and 6 of the Notice of Complaint are annulled and therefore invite the Tribunal to refrain from deciding the issues arising from a Notice of Complaint served on Mrs Zoë Readhead ("the Appellant") by the Secretary of State ("the Respondent") in June 1999 and the Appeal do stand withdrawn. Complaint 2, relating to toilet facilities and labelling was annulled by the Tribunal on 20th March 2000. As to complaints 4 and 6, the Respondent produced evidence about the issues in the Notice of Complaint, and the 1999 OFSTED Report which led to the Notice of Complaint, including oral evidence to the Tribunal at the hearing, which was subjected to cross-examination. In essence, it was confirmed on behalf of the Respondent that there was not a desire on his part to have Summerhill struck off the Register, or to compel children there either to attend lessons or to engage in formal self-supported study, or to prevent the school from putting into effect the educational philosophy of its founder, AS Neill. These assurances, given on the Respondent’s behalf under oath, have now been accepted by the Appellant. The Respondent acknowledged that the evidence produced by the Appellant in the course of this appeal, including evidence supportive of Summerhill by the ex-pupils, parents and independent evaluation of experts demonstrates that there does not now exist a factual situation, which would entitle the Respondent to serve a Notice of Complaint. In these circumstances, the Tribunal is now asked to annul Complaints 4 and 6 upon the parties having agreed the attached Statement of Intent. The Respondent recognises that this independent school, based as it is on the writings and systems of AS Neill, has a right to its own philosophy. He also recognises that any inspection of Summerhill should take into account Summerhill’s aims as an international free school. This statement of intent is on the understanding that the Secretary of State cannot and does not fetter his own discretion nor that of Her Majesty’s Inspectors of Schools to exercise their statutory functions in relation to schools. The Appellant recognises that the school should continue to provide a stimulating learning environment, taking into account views expressed at the Meeting, both within and outside of timetable lessons, including amongst other things, suitable class based lessons and self-supported study programmes, thus continuing to provide opportunities for pupils to study a curriculum tailored to their individual needs aiming at standards of attainment consistent with the potential, expectations, desires and personal objectives of the pupils. The Appellant will use her best endeavours to achieve the objective referred to in paragraphs 1 and 3 above, by amongst other things, maintaining and implementing the measures identified by her evidence in the appeal and particularly in the statement of Mr Warder. The Appellant will use her best endeavours to extend equivalent measures as appropriate throughout the range of subjects available at the school. The Respondent will review the status of Summerhill as a school marked "TBW" forthwith. It is intended that the usual programme for OFSTED inspections will now apply to the school. In the absence of exceptional circumstances, this means that the next full inspection will occur no earlier than 2004, or in such years as will conform with the normal cycle of full inspections, if that were later. OFSTED propose an inspection to monitor progress on the issues raised in this case in 2001 or 2002. The parties agree that in order to facilitate the resolution of any issues which may from time to time arise between them and to assist the school, in particular in respect of any future inspections, each shall appoint an expert to liaise with the other with the assistance, if the school so wish, of a lay person. The school shall be entitled to submit its own expert report to the Respondent at the same time as the OFSTED report of any inspection is submitted. The Respondent undertakes to take any report so submitted into account. Levels of attendance at lessons should not form the only basis for judgements of the suitability and efficiency of instruction and education at Summerhill. The Respondent will make a contribution to the costs of the Appeal respect of complaint number 2. 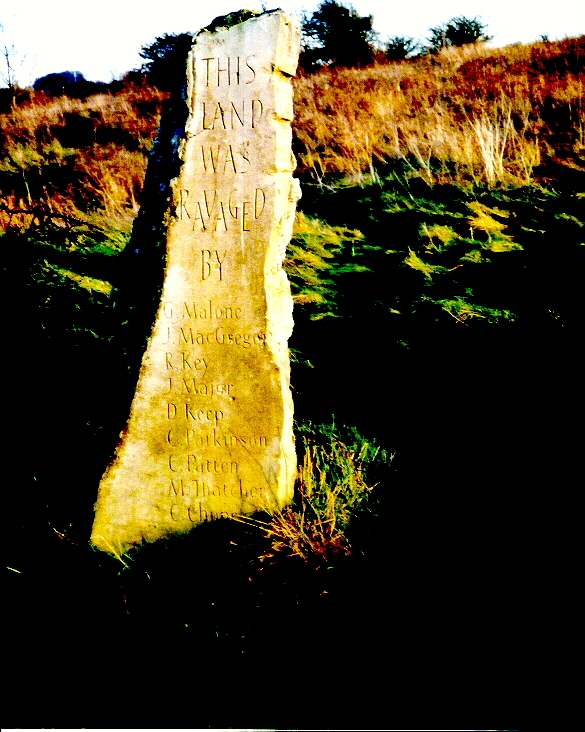 God made the land for the people. Carol Ann Duffy. This poem was removed from the 2008–9 AQA School GCSE anthology after complaints by Pat Schofield. Because the Badgers are moving the goalposts. The Otters are downing tools. The Grass-snakes are spitting tacks. The Squirrels are playing the blame-game. The Skunks are twisting the facts. The Pole-cats are upping the ante. The Foxes are jumping the gun. The Voles are crashing the party. The Stoats are dismantling the Sun. The Rabbits are taking the biscuit. The Hares are losing the plot. The Eagles are kicking the bucket. The Rats are joining the dots. The Herons are throwing a curveball. The Shrews are fanning the flames. The Field mice are sinking the 8-ball. The Swans are passing the blame. but only the Bustards have broken the bank. and the sea thought me but a depreciative defamer. Kahlil Gibran, "Sand and Foam"
in "Thoughts on the Cause of Present Discontents"
Your religion was written on tablets of stone by the iron finger of an angry God, lest you might forget it. The red-man could never remember nor comprehend it. Seattle Sunday Star, 29th October 1887.
as religion, and not atheism, is the true remedy for superstition. Edmund Burke, "On Conciliation with America"
If the King’s English was good enough for Jesus, it’s good enough for me! When I ask why the poor have no food, they call me a communist. Dom. Hélder Câmara. See also Spiral of Violence. As a military man who has given half a century of active service I say in all sincerity that the nuclear arms race has no military purpose. Their existence only adds to our perils because of the illusions which they have generated. . There are powerful voices around the world who still give credence to the old Roman precept—if you desire peace, prepare for war. This is absolute nuclear nonsense and I repeat—it is a disastrous misconception to believe that by increasing the total uncertainty one increases ones own certainty. But look, you found the notice, didn’t you? Yes, said Arthur, yes I did. It was on display in the bottom of a locked filing cabinet stuck in a disused lavatory with a sign on the door saying Beware of the Leopard. Douglas Adams, "The Hitchhiker’s Guide to the Galaxy"
Bob Dylan, "The Times They Are A Changin’"
Graeme Edge, "In the Beginning" from The Moody Blues, "On the threshold of a dream"
Lionel Tiger is Darwin Professor of Anthropology at Rutgers University. Rudyard Kipling, "If". This was, in 1995, voted the Nation’s favourite poem. —But what do I feel now? Doubt? Philip Larkin, 1972. Prologue appeared in the HMSO report Human Habitat: How do you want to live. Going Going is the ninth poem in his collection High Windows, 1974. With our dear Venus-plats plucked trim and neat. They’ll beg our arms to open. That’s our time! And they will soon be rabid for a Peace. SO, grasp the brim, you, Lampito, and all. O, O, my knees are failing me, Lysistrata! I’ll give him reason for a long remorse. P. B. Shelley, "Ozymandias of Egypt", another of the Nation’s favourite poems. Anyone who has read those cheap thrillers in which Oxbridge dons with links to MI5 or 6 nudge likely lads in the direction of British intelligence, and thought, ‘It can&apos;t really be like that’—is wrong. It is like that. I should not publish the name of the don at Clare who had advised and arranged my first interview, but I must assume this was the don of spy novels, sniffing out young talent for British intelligence. He had suggested a chat; and after the chat, in which he had warned me I must not expect spying to be all about sleeping with beautiful blonde women, suggested I go for another chat with a man from London who had installed himself temporarily in a room somewhere in Cambridge. This chat too went fine. This man too warned me not to suppose spying was all about sleeping with beautiful blonde women, and suggested another chat. This chat was to be more formal: an appointment at another address, in Canton House Terrace, near Buckingham Palace in London. I went down by train to Liverpool Street and took the Underground, somehow fearful I might be being watched. On reaching Carlton House Terrace I rang the bell outside an unmarked door and a plummy young lady let me in and brought me my train fare in cash, coins and all, on a silver tray. Another interview ensued. in which it was explained that spying was not about sleeping with beautiful blonde women. I said I was glad of that, but my interviewer missed the irony. They offered me a job, conditional on my passing the preliminary general examinations for the civil service later that year, and upon a final interview still to come. And they wanted me to go ahead in the ordinary way with an application to join the Foreign Office. Matthew Parris, "Chance Witness", 2002. Henry Reed, Lessons of the War, Part I. "Naming of Parts", yet another of the "favourite poems". The nation itself, with all its so-called internal improvements, which, by the way are all external and superficial, is just such an unwieldy and overgrown establishment, cluttered with furniture and tripped up by its own traps, ruined by luxury and heedless expense, by want of calculation and a worthy aim, as the million households in the land; and the only cure for it, as for them, is in a rigid economy, a stern and more than Spartan simplicity of life and elevation of purpose. It lives too fast. Men think that it is essential that the Nation have commerce, and export ice, and talk through a telegraph, and ride thirty miles an hour, without a doubt, whether they do or not; but whether we should live like baboons or like men, is a little uncertain. If we do not get out sleepers, and forge rails, and devote days and nights to the work, but go to tinkering upon our lives to improve them, who will build railroads? And if railroads are not built, how shall we get to heaven in season? But if we stay at home and mind our business, who will want railroads? We do not ride on the railroad; it rides upon us. Did you ever think what those sleepers are that underlie the railroad? Each one is a man, an Irishman, or a Yankee man. The rails are laid on them, and they are covered with sand, and the cars run smoothly over them. Motto of the Black Dyke Mills Band. Motto of the Royal Society, originally from Horace's Epistle. If you give me a fish you have fed me for a day. If you teach me to fish then you have fed me until the river is contaminated by the shoreline seized for development. But if you teach me to organize, then whatever the challenge, I can join together with my peers and we will fashion our own solution. Lao Tze, "Tao Te Ching", translated by Peter A. Merel. And fast the flames roll’d on. Young Giocante Casabianca, a 12-year old boy, was the son of Luce Julien Joseph Casabianca. Casabianca was the commander of Admiral de Brueys’ flagship, l’Orient at the Battle of the Nile. Casabianca and his son were on board the flagship during the battle. Casabianca remained at his post during the battle, even after the ship had caught fire and all the guns had been abandoned. The boy refused to save himself and both he and his father died when the ship exploded after the flames reached the powder. The Liberal Party exists to build a Liberal Society in which every citizen shall possess liberty, property and security, and none shall be enslaved by poverty, ignorance or conformity. Its chief care is for the rights and opportunities of the individual, and in all spheres it sets freedom first. Why are the cattle on a common so puny and stunted? Why is the common itself so bare-worn, and cropped so differently from the adjoining enclosures? No inequality, in respect of natural or acquired fertility will account for the phenomenon. The difference depends on the difference of the way in which an increase of stock in the two cases affects the circumstances of the author of the increase. If a person puts more cattle into his own field, the amount of the subsistence which they consume is all deducted from that which was at the command, of his original stock; and if, before, there was no more than a sufficiency of pasture, he reaps no benefit from the additional cattle, what is gained in one way being lost in another. But if he puts more cattle on a common, the food which they consume forms a deduction which is shared between all the cattle, as well that of others as his own, in proportion to their number, and only a part of it is taken from his own cattle. In an enclosed pasture, there a point of saturation, if I may so call it (by which, I mean a barrier depending on consideration of interest) beyond which no prudent man will add to his stock. In a common, also, there is in like manner a point of saturation. But the position of the point in the two cases is obviously different. Were a number of adjoining pastures, already fully stocked, to be at once thrown open, and converted into one vast common, the position of the point of saturation would immediately be changed. The stock would be increased, and would be made to press much more forcibly against the means of subsistence. Excessive vanity proves the undoing of many experts. The temptation to show off is great. He has become a past master in his profession. He can laugh at luck and defy the law of chance. His fortune is literally at his finger ends, yet he must never admit his skill or grow chesty over his ability. It requires the philosophy of the stoic to poses any great superiority and refrain from boasting to friend or foe. He must be content to rank with the common herd. We should take care, in inculcating patriotism into our boys and girls, that it is a patriotism above the narrow sentiments which usually stops at one’s own country, and thus inspires jealousy and enmity in dealing with others. Our patriotism should be of the wider, nobler kind which recognises justice and reasonableness in the claims of others and which leads our country into comradeship with ... the other nations of the world. The Ministry of Magic has always considered the education of young witches and wizards to be of vital importance. The rare gifts with which you were born may come to nothing if not nurtured and honed by careful instruction. The ancient skills unique to the wizarding community must be passed down the generations lest we lose them for ever. The treasure trove of magical knowledge amassed by our ancestors must be guarded, replenished and polished by those who have been called to the noble profession of teaching. Every headmaster and headmistress of Hogwarts has brought something new to the weighty task of governing this historic school, and that is as it should be, for without progress there will be stagnation and decay. There again, progress for progress’s sake must he discouraged, for our tried and tested traditions often require no tinkering. A balance, then, between old and new, between permanence and change, between tradition and innovation…because some changes will be for the better, while others will come, in the fullness of time, to be recognized as errors of judgment. Meanwhile, some old habits will be retained, and rightly so, whereas others, outmoded and outworn, must be abandoned. Let us move forward, then, into a new era of openness, effectiveness and accountability, intent on preserving what ought to be preserved, perfecting what needs to be perfected, and pruning wherever we find practices that ought to be prohibited. We are in a fragmenting culture, where our certainties of even a few decades ago are questioned and where it is common for young men and women who have had years of education, to know nothing about the world, to have read nothing, knowing only some specialty or other, for instance, computers. What has happened to us is an amazing invention, computers and the internet and TV, a revolution. This is not the first revolution we, the human race, has dealt with. The printing revolution, which did not take place in a matter of a few decades, but took much longer, changed our minds and ways of thinking. A foolhardy lot, we accepted it all, as we always do, never asked "What is going to happen to us now, with this invention of print?" And just as we never once stopped to ask, How are we, our minds, going to change with the new internet, which has seduced a whole generation into its inanities so that even quite reasonable people will confess that once they are hooked, it is hard to cut free, and they may find a whole day has passed in blogging and blugging etc.